He is best known for being a star in the Cantopop and movie industry in Hong Kong's from the 1960s to 1990s. He was born on 6 September 1948. He graduated from the Arts Faculty of University of Hong Kong, Ying Wa College and St Francis Xavier's College in the late 1960s to early 1970s. He and his brothers Michael and Ricky made several comedy blockbusters in the 1970s. 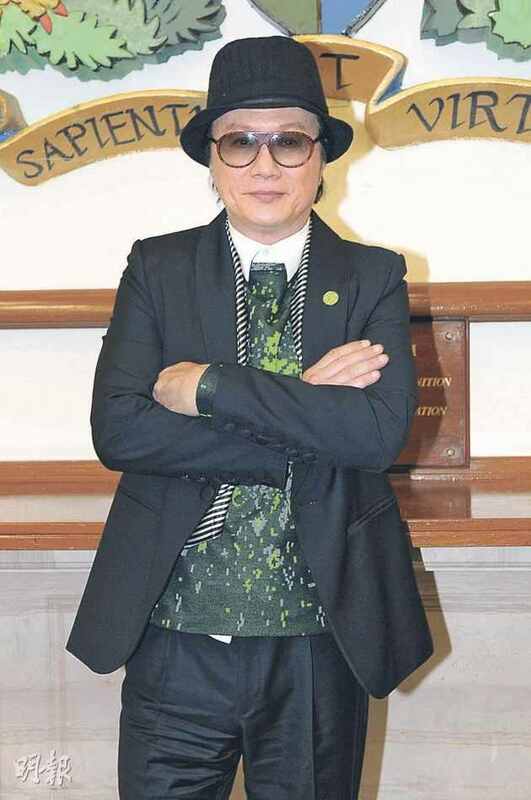 He is also acknowledged for popularising Cantopop, by incorporating the then unknown idiosyncrasies of Western popular music into the Cantopop genre. Yeah maybe he did it in his 10 Minute Medley! The "God of Canto-pop" showed his quick wit yesterday during a performance to help the University of Hong Kong celebrate its 100th anniversary at the Pok Fu Lam campus. In response to a reporter's question on who he would choose to be chief executive out of the two main candidates, Samuel Hui Koon-kit replied: "Who is the genius, and who is the idiot?" He was quoting a line from the song Genius & Idiot that he wrote for the 1975 film The Last Message. Clifton Ko Chi-sum, a film director and an organiser of yesterday's event, followed with the next line: "Can you or I tell who is?" The HKU gathering saw "Ah Sam", as he has been affectionately known in Hong Kong for the past 40 years, emerge from a long break to cheer up his alma mater. It came after the controversy over the visit of the Vice-Premier Li Keqiang and a mainland professor's verbal attack on Hongkongers, calling them "dogs". 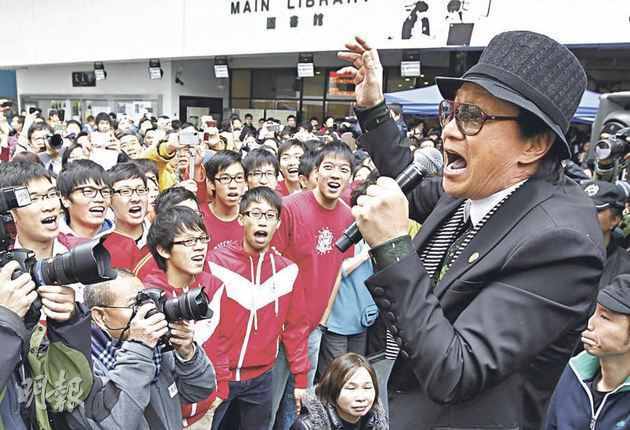 The 64-year-old graduated from HKU in 1971 and returned to the campus to sing some of his most iconic melodies to an enthusiastic crowd of students, staff and alumni. "I dedicate the following song specially to my HKU colleagues who have been unhappy lately," he said as he led the crowd in a singalong of The Ballad of a Rover. The song from the 1970s is about a wise man's reflection on hyprocrisy and greed. "By singing it together, I hope it will soothe your emotions," Hui told the audience. The one-hour gathering, with the theme "Brighten me with virtues: Sam Hui's world", centred on a song the pop star wrote last year to celebrate HKU's centenary. Sung in Cantonese, Hui's latest opus urges the university community to persevere in the face of "the darkest hour" and "standing fast against the wind and storm". But he denied the university was adversely affected and that freedom of speech was curtailed during Li's visit last August, which he called "an isolated incident". He said: "We should appreciate the 100 years of HKU, and not just a single event. "I do hope we are able to continue the university's tradition of virtues." The Ballad of a Rover, he added, did not reflect his views on current events. "It was written a long time ago," he said with a laugh. But he insisted that singing in Cantonese should be upheld to strengthen Hong Kong's identity. "[Hong Kong] Chinese should always listen to Cantonese songs, which appeal to our very soul, the soul of a dragon's descendant," he said. Despite the low ebb at present, he called upon all Canto-pop writers to work hard to maintain the genre's status. "Most of us in Hong Kong are Cantonese speakers. Without Cantonese, our sense of belonging will be lost." He said the attack on Hongkongers by Peking University professor Kong Qingdong "is biased against Cantonese speakers and is very inappropriate". He said he would dedicate one of his three concerts in April at the Hung Hom Coliseum to HKU. "As an alumni, I have the mission to cheer up my folks when such time calls for it, just like the song Keep On Smiling I wrote and sang at the concerts in 2004 to cheer up the community after the deadly Sars. "Now is the time for me to bring smiles to my unhappy colleagues through my music." Who is the genius (genius)? Who is the idiot (idiot)? To play dumb, or a real fool? It's not easy to tell (who knows). A genius and an idiot. You're crazy? Or I'm crazy? A genius or an idiot. It's not easy to tell.